I'm new to doing my own nails and this was a great start to more than just white tips. The glitter and dust is easy to work with, for the studs I used tweezers to pick them up and put them on my nails (on wet nails). After a few mins, I put a couple of coats of nail polish and clear protective seal. It's been a couple days, and I do a lot of washing of my hands and lots of dishes. My 2 year old also tried to pick them off, but they are still on there, I didn't have to use any nail bond glue, so I do like that. Also, the container it comes in is a perfect size so you don't waste a lot of the glitter on just one application. This Nail Art Kit can be used with press-on nails, nail polish or simply over your natural nails. This kit came with 2 Glitter Filled Puffers, 50 Studs, Nail Art Applicator and Protective Sealer. The size of the studs is good, not too big or small. 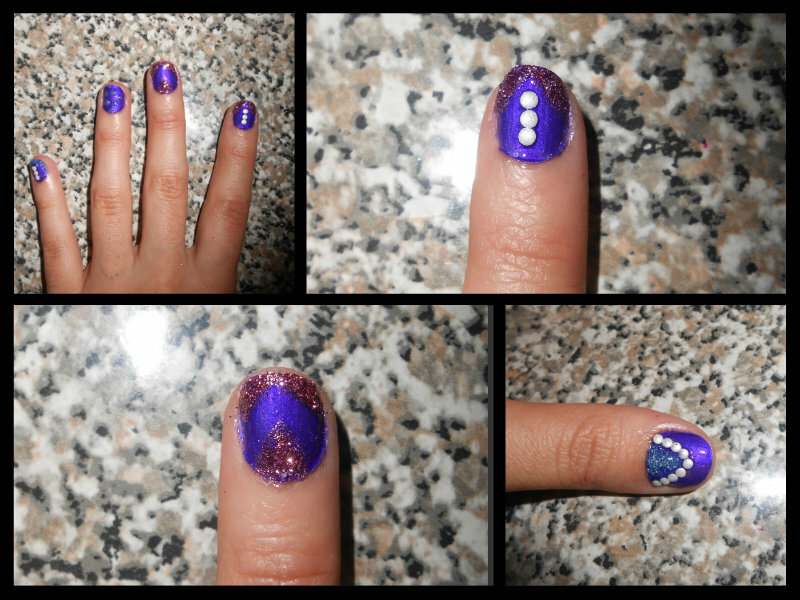 They are all small enough for your nails.The quality of the rhinestones are very good! At first glance I do not see any chipped rhinestones or discoloration. They are all silver and I don't see anything to complain about. This glitter works great! Nice colors and lids stay shut. This product does the trick!! First a coat of polish or clear protective seal, sprinkle some glitter, a clear drying spray and it wears well for awhile depending on how active the wearer is. *Prepare nails and ensure they are clean and dry. TIP: Whatever look you are creating, you may find it easier to work one nail at a time. *Apply a coat of protective sealer. *Use the applicator to pick up a stud by gently pushing the rubber side onto the top surface of the stud. *When the protective sealer is still tacky place the stud into position. *Apply a further coat of the protective seal to lock in your look. *Hold glitter puffer like a pen 1cm above the nail. *Squeeze the puffer gently to dust glitter out . Gently blow your nail to remove excess glitter. *Apply another coat of the protective seal to lock in your look. 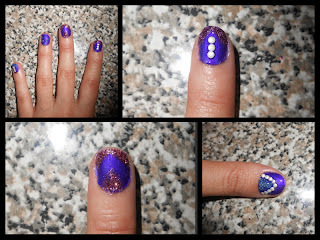 *Once the nail has dried, remove any excess glitter from skin surrounding the nail. Note: I know I'm not a professional. You can see that I had a lot of fun using this kit. 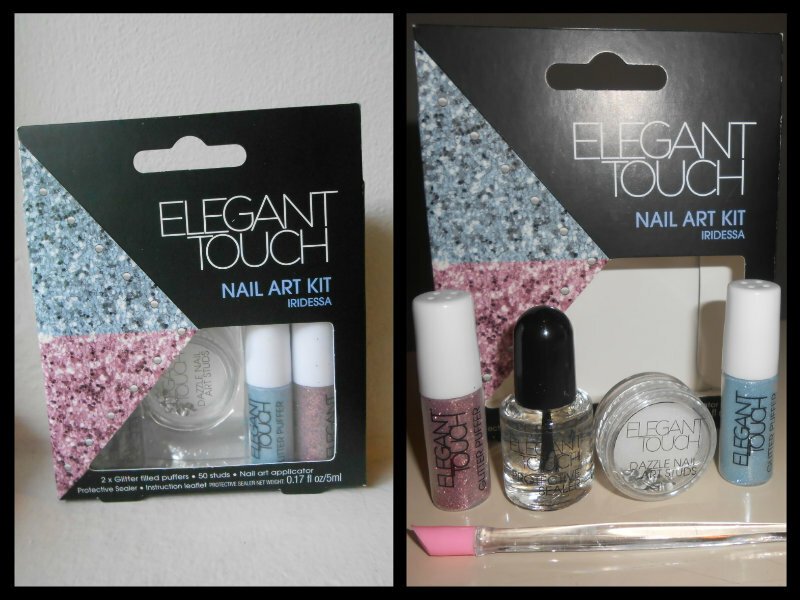 Price $9.99 This Nail Kit come in Iridessa, Luna, Silvermist and Rosalia.